CCRCE and the Nova Scotia Teachers Union are now accepting nominations for the esteemed Excellence in Teaching Awards. The recognition program is dedicated to acknowledging our outstanding teachers who demonstrate creativity, innovation, and effective teaching practices. Interested in nominating an outstanding educator? 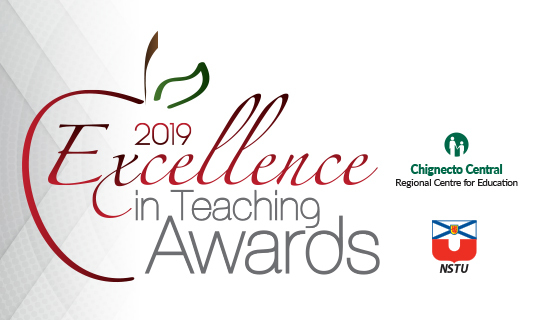 Visit the Excellence in Teaching Awards webpage to learn more.